Think of a typical Mexican drink and probably the first one that comes to mind is tequila. But when there’s a chill in the air, you’ll find most Mexicans clutching a sturdy, steaming mug of Café de Olla rather than a shot glass with a worm in it. Café de Olla is principally consumed in cold climates and in rural areas. Café de Olla or pot coffee is a traditional Mexican drink which is brewed during the winter months. Made from four basic ingredients, water, ground coffee, cinnamon sticks, and cones of unrefined cane sugar called piloncillo, it’s warming and aromatic. So if you’re feeling rebellious and need some sustenance, as Café de Olla is still not widely served outside of Mexico you might want to try making it yourself, though it might take a few attempts to get the balance of flavours right. To make Café de Olla, the authentic way, you’ll need a heatproof earthenware pot large enough to hold the quantity of water required for the amount of cups you want to produce. Two litres of water is a good amount to start with. It’s worth making a sizeable batch as the flavour improves with steeping. Pour the water into the pot and add a couple of sticks of cinnamon. Bring the water to the boil before dropping the cones of piloncillo inside, then let it simmer until they dissolve. Spoon the coffee grounds in slowly, three to four should be enough unless you like your coffee extra strong, stir gently to prevent it from frothing over. Turn off the heat, cover it and leave it to stand for at least five minutes so the flavours mingle together and the coffee grounds sink to the bottom of the pan – otherwise you’ll be picking them out of your teeth. Piloncillo is as minimally-processed as you can get your sugar. Serving your Café de Olla requires the rustic touch of a small, fine meshed sieve which will fit in the top of your coffee mug. Once you’ve ladled your now fragrantly sweet and spicy liquid through the sieve, your Café de Olla is ready to drink. Café de Olla is a great morning invigorator and goes well with French toast, omelettes, or even a full British of bacon and eggs, as the sweetness compliments the savoury. Try it in place of a dessert after a dinner of spicy Mexican food and you’ll find it’s a great digestive aid. Tradition and authenticity demand Café de Olla is prepared in an earthenware pot. If you haven’t got one, no worries. You can make it in a normal saucepan and it will still taste as good. 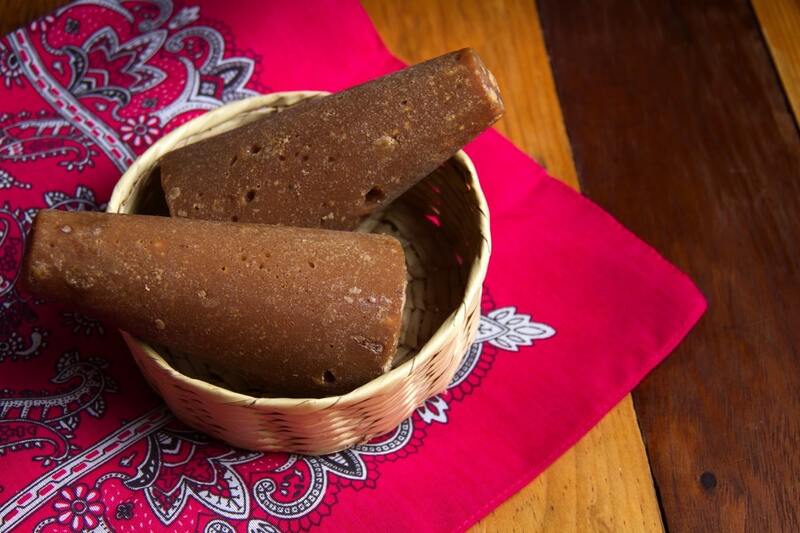 Piloncillo, the cones or blocks of unrefined cane sugar sometimes known as Panela, does give Café de Olla a very distinct taste. If you can’t lay your hands on any, no problem, you can use brown sugar or even granulated white instead. 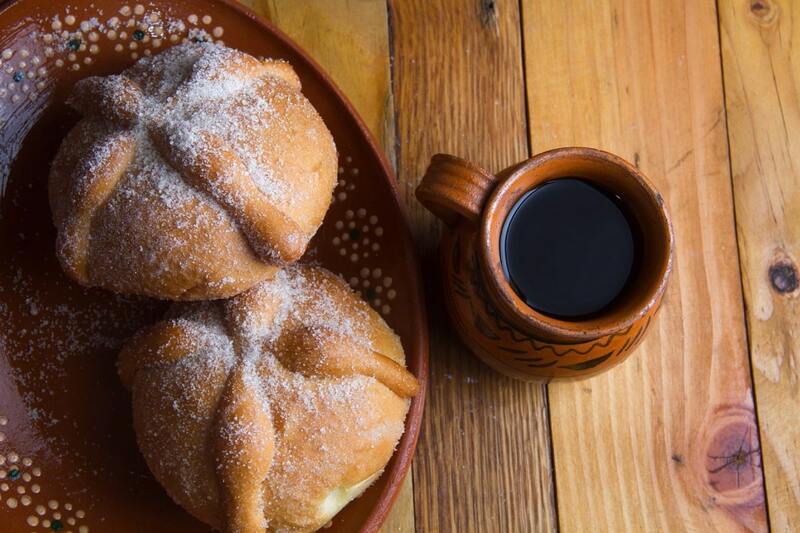 If you don’t take sugar in your coffee, you’re reading the wrong article because Cafe de Olla is sweet. Whatever you do, don’t ask for milk in it. This beverage comes sugary, black and strong. You can add cloves and star of anise at the same time as the cinnamon but there won’t be much of a coffee taste left. Which is okay—if you’re into herbal tea. There’s no such thing as Mexican cinnamon. It’s all imported from Sri Lanka (or Ceylon if you prefer to call it by its previous name) so whatever brand you can get in your local supermarket will be just perfect. Cinnamon has a lot of reputed qualities which include everything from lowering blood sugar levels to helping erectile dysfunctions to preventing Alzheimer’s, so Café de Olla is worth trying just for those. Café de Olla has been served in Starbucks. Have you had a cup of Café de Olla? Liz is a long-term European wanderer who, when she visits somewhere new, usually forgets to go home again. She also has an inherent penchant for trying anything different or unusual which might just add a little spice to her life.